Practitioners sometimes struggle to find a way to discuss equality with young children. 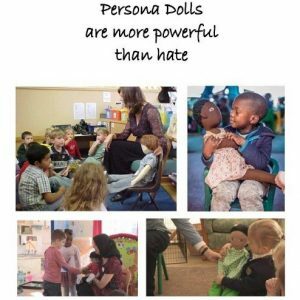 Persona Dolls and their stories empower children and make a real difference to their lives. This booklet will enable practitioners to implement the Persona Doll approach. This downloadable booklet offers practitioners ways to combat hate crime, foster British Values and implement the Prevent Duty; using the Persona Doll approach. A few examples of Persona Doll scenarios are included to get you started!